There’s something funny about the end of October. It’s the only time of year where it’s relatively normal to leave work, walk down a main street, and see a tidal wave of zombies, Draculas, and evil clowns strolling towards you. Even this morning, hopping onto a 7:50am train from Sheffield to Manchester, there was about 40 folk from last night dressed up as grim reapers, pumpkins, cheerleaders, and one girl dressed as a bag of cans. If this were April or May seeing such a sight would almost definitely make you a little uncomfortable but as October teeters to a close it’s the norm. What isn’t the norm however is the Sun dressing up for Halloween. No, not the paper; but that big f*ck off ball of fire in the sky – dressing up for Halloween. 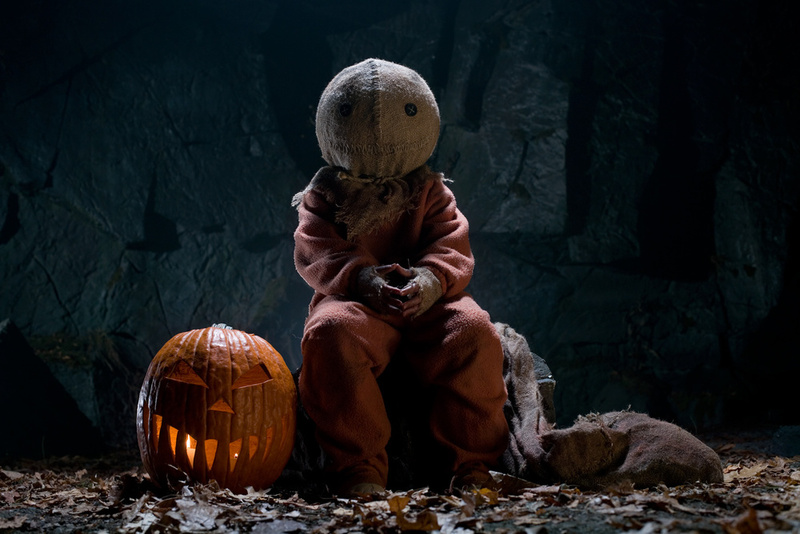 And horrifyingly, it’s probably the most terrifying costume as all. Come on. That is petrifying. 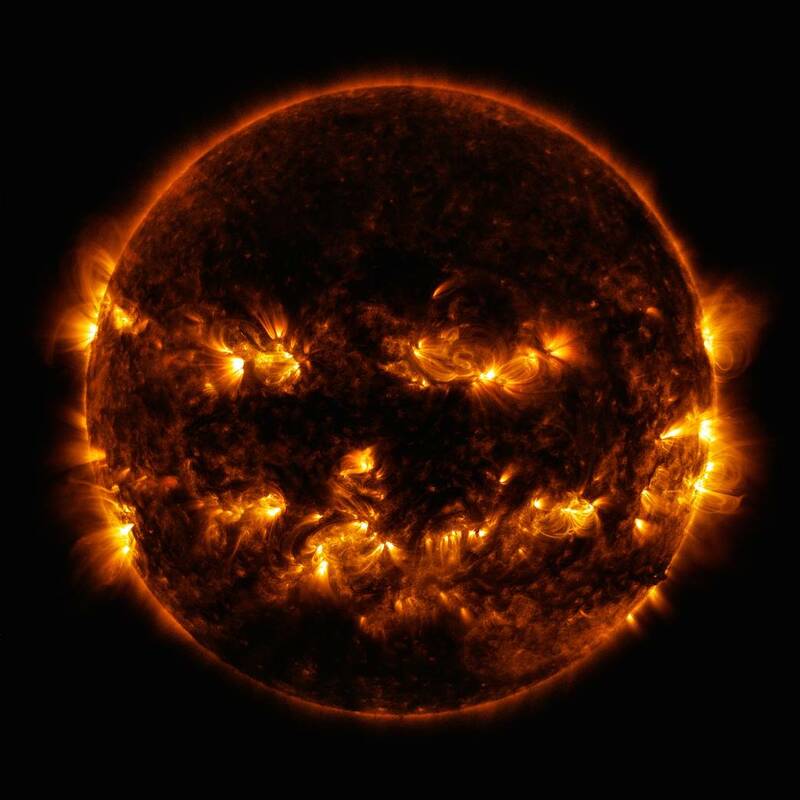 Why on Earth is the Sun dressed up as a Jack O’Lantern? This image blends together two sets of extreme ultraviolet wavelengths at 171 and 193 Ångströms, typically colorized in gold and yellow, to create a particularly Halloween-like appearance. The beautifully scary photo was originally captured in 2014 but hell, it makes one seriously good Halloween pic.